Save the Children spoke to civilians who have recently fled the country who told of a ‘death journey’ on which children were separated from their parents, with at least one 12 year-old boy being left behind to die on his own after his mother was killed and he became too weak to continue the journey due to shrapnel wounds. Another family reported the death of a baby who died in the heat after being separated from her mother as they fled across the border. The charity also received reports of children being targeted by sniper fire, forced to take flight under heavy shelling and driven to licking moisture from grass and leaves in a desperate attempt to stave off thirst in the searing heat. There are currently 1.6 million people from Syria in need of refugee assistance in Jordan, Turkey, Lebanon, Iraq and Egypt. Syria’s one millionth refugee only crossed the border in March – two full years after the crisis took hold. The number of registered refugees has increased 17-fold in the past 12 months and the two millionth refugee is expected to arrive this summer. The number of people in need of refugee assistance from Syria has increased on average by close to a third each month for the past year. Were that trend to continue, Syria would be emptied of civilians by as early as April 2014. 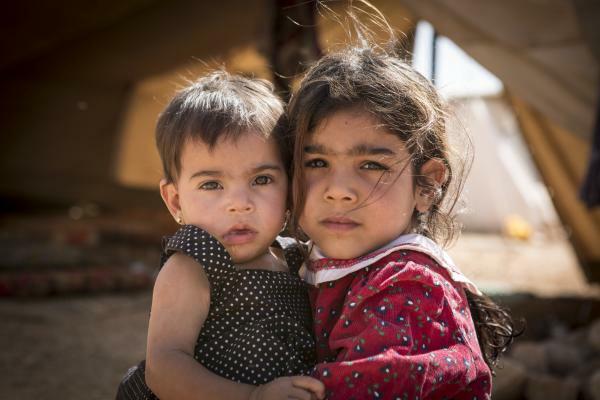 Save the Children´s Humanitarian Director, Mike Penrose, said: “The horrific stories we’ve gathered from refugees over the past few days show how children are bearing the brunt of the Syrian conflict. Children in Syria are being killed, tortured, recruited as soldiers and abused in horrifying numbers. Children are being separated from their parents, and some are dying alone at the roadside from their wounds. “Meanwhile conditions are proving too much for the weakest and most vulnerable babies. Millions of children are beyond the reach of humanitarian aid and have no option but to flee. Over half of all Syrian refugees are children and behind the frankly terrifying statistics of civilians fleeing their country are millions of individual tragedies. Children inside Syria are especially vulnerable to the worst atrocities of the crisis. Those who manage to escape often lack access to schools and safe places to play and are frequently living in cramped, overcrowded conditions. As well as working with refugee communities in Lebanon, Jordan and Iraq, Save the Children is working across Syria to bring vital humanitarian aid to the most vulnerable communities. However, due to restrictions posed by a lack of access, it is currently only reaching 10 percent of those people we aim to inside the country itself. For more than two years Syria’s children have endured appalling suffering. According to UNHCR 1,631,981 people have now fled Syria. More than 1 million of them fled in 2013 alone. In the 162 days that passed since 1 January an average of close to 6,500 people fled every single day. Save the Children has worked in the Middle East for decades. In July 2012 we launched an ambitious emergency appeal to respond to the growing refugee crisis in the region and are now aiming to raise 161,000,000 USD for our humanitarian interventions in Jordan, Lebanon, Iraq and Syria, aiming to reach at least 1,255,000 people. See Save the Children's Syria Crisis Regional dasboard with key facts,urgent needs and details of Save the Children's response by country and sector. Helping Syria's children in Jordan: Shorouq's story, Merwat's story and Nadeem's story. Video: 'The princess from the asylum center' from asylum seekers in Norway.